California may be a player in the presidential race after all. That's thanks to Mitt Romney and his emergence as the indisputable GOP frontrunner and favorite after his triumphs in the Iowa caucuses and the New Hampshire primary. 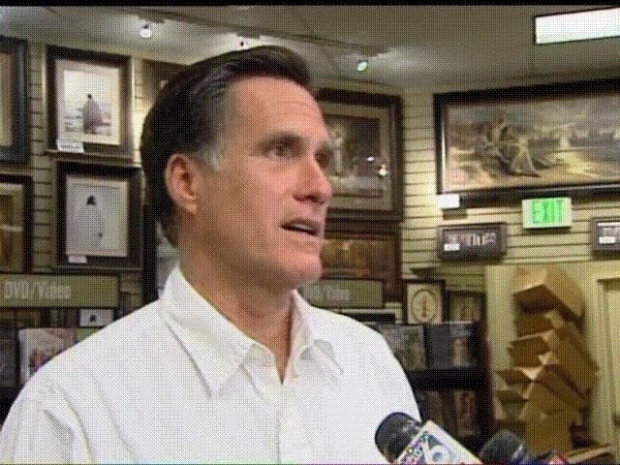 Few Californians may know it yet, but Romney has ties -- both past and present -- to Southern California. Those ties that are beginning to attract more attention as the former Massachusetts governor attracts more attention. Two stories are already developing into controversies. Former presidential candidate Mitt Romney lists everything he views as bad about President Obama's health care bill. The first has to do with Bain Capital, the firm Romney helped found. Bain has drawn criticism because it did private equity deals that went sour, costing employees' jobs (and sending some companies into bankruptcy). Another company you may hear more about is Anaheim's DDi, a maker of circuit boards. Bain invested in DDi in the 1990s and made money when the company went public. But the company later ended up in bankruptcy. The second has to do with Romney's Southern California home. Yes, that's right -- Romney has a $12 million home in La Jolla where he spends some time (he also has homes in Massachusetts and New Hampshire). And media reports last year indicated he is trying to more than triple its size -- to 11,000-or-so square feet. Keep an eye open for Democrats (and maybe even some of Romney's Republican rivals) to make an issue of this big home as part of a strategy to portray Romney as a super-wealthy, out-of-touch "1 percenter."